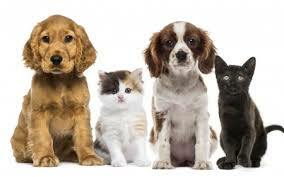 Did you know that pets are legally classified as property? This is hard to imagine when we consider them companions, best friends and family. But as property there are legally enforceable documents that can help secure a pet’s future. This is worth consideration, as informal vows and promises made by friends and family to care for your pets, should you pass away or become incapacitated, often fail. Reasons such as allergies, conflicts with other pets, or the exclusion of pets from some residential communities can get in the way. By adding a provision to your will, details regarding the care and guardianship of your pet can be spelled out. You can go a step further and create a pet trust during your lifetime. This would allow for the disbursement of funds from the trust to cover pet expenses. The idea of legally enforceable documents that ensure companion animals’ continuing care is relatively new but increasingly popular. This entry was posted in Estate Planning and tagged Pet trusts. Bookmark the permalink. Follow any comments here with the RSS feed for this post. Post a comment or leave a trackback: Trackback URL.